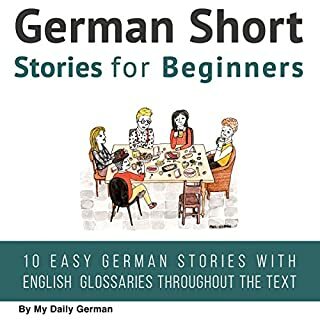 Interesting and clear audio which is very easy for the beginners like me to understand German. Since I am new starter I have taken print out of all the chapters which helped me to understand well. Speaker was very slow and I felt comfortable and easy to learn. Chapters are well organized with proper pronunciation. Repeating the words and recap helped a lot in memorizing. When compared with websites and books I felt audio version as the best one.